Sendai International Music Competition was created by the City of Sendai in 2001 to commemorate the 400th anniversary of the city. The Competition is held every three years, aiming to contribute to the global culture of music and to international cultural exchange, through the nurturing of young, talented musicians. 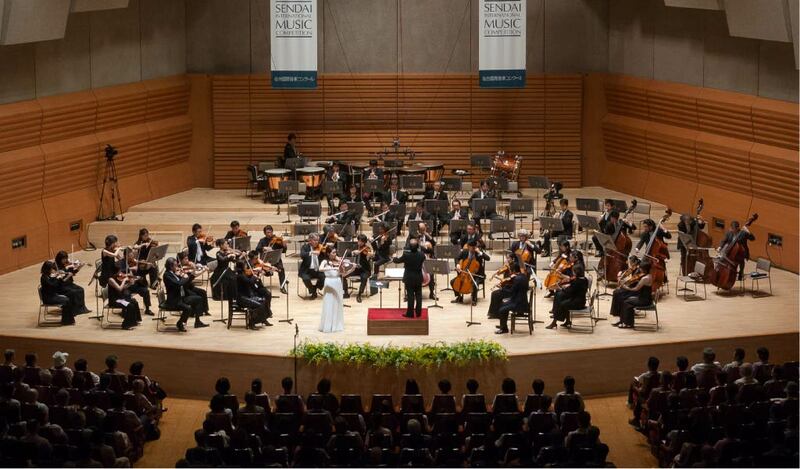 The Sendai International Music Competition is highly unique in that it designates the concerto as the center of repertoire. In both sections, the Sendai Philharmonic Orchestra accompanies Contestants after the Semifinal Round. Our Jury is made up of musicians who are both internationally active and also known as educators, to provide rigorous adjudication. 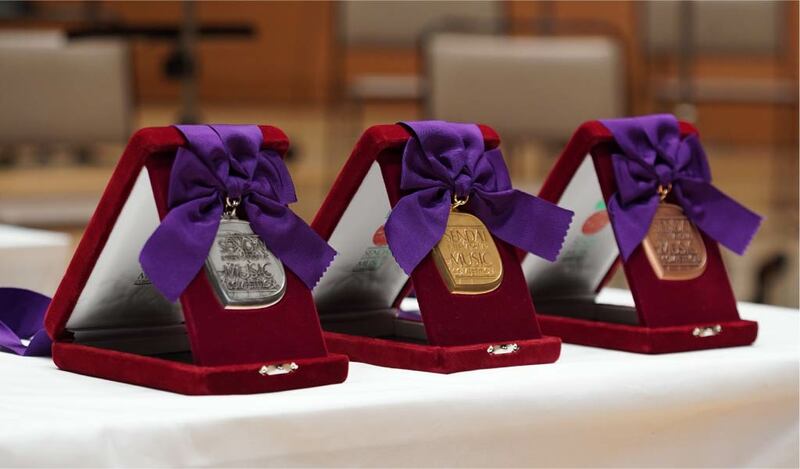 Since 2005, the Sendai International Music Competition has been a member of the World Federation of International Music Competitions. Faithful to the code of the Federation, it enjoys a high reputation for balanced and reliable Competition management. Management support provided by about 300 volunteers is another characteristic of the Competition. The volunteers’ warm hospitality has enjoyed a good reputation,not only from Contestants but also from Jury Members. During the competition period, a wide variety of related projects are organized; Challenger’s Live performance in which Contestants not advancing to the next round perform at many places in the city; the Mini Concert for School Children; as well as other concerts organized by the volunteers. 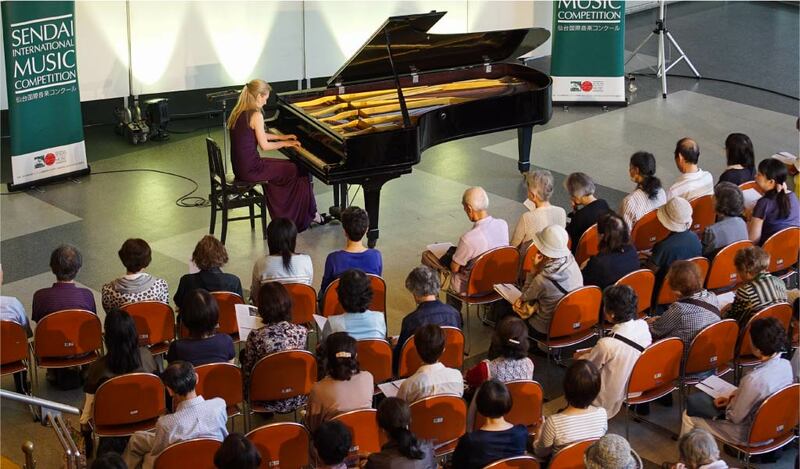 These are held to provide opportunities for Sendai citizens to enjoy classical music as well as to interact with young musicians. Following the 1st Regular Meeting, the Sendai City Council announces its decision to hold the 1st Sendai International Music Competition. Depicted at the center of the logo is the musical score for “Kojo no Tsuki” (“The Moon Over the Ruined Castle”). It represents our respect for the writer of its lyrics, Bansui DOI, a famous poet and scholar of English literature from Sendai. It also evokes the image of international connection through music between Sendai and the world.